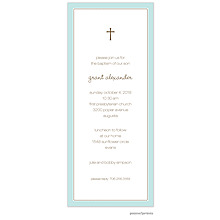 Massachusetts Baptism and Christening Invitations and Cards - RI also. 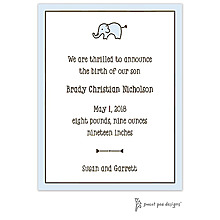 Request an appointment to visit our Attleboro, Massachusetts, location to view our extensive selection of baptism invitations. Online and store prices are the same. 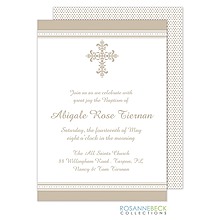 Pearlized flourishes surround a cross on this invitation. Precious baby fingers are at the top of this scalloped border invitation. 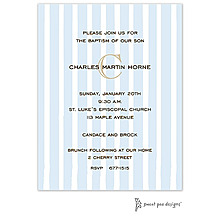 Blue flowers and tiny cherubs make this boy's baptism invitation or birth announcement so very sweet. Inside is room to include a Bible verse, poem or translated wording. 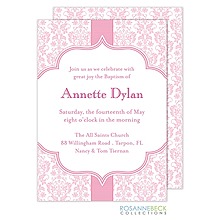 Pink flowers and tiny cherubs make this girl's baptism invitation or birth announcement so very sweet. Inside is room to include a Bible verse, poem or translated wording. 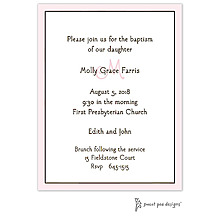 Soft and pink and so sweet - a perfect baptism invitation or birth announcement design for your baby girl. Gold accents make the design extra special. Angels are certainly guarding your little one. They're even included on this cherub photo baptism invitation or birth announcement in pastels with touches of gold. Angels are guarding your little one, and it shows on this baptism invitation or birth announcement scroll. Roll the parchment paper scrolls for delivering by hand, or print them with a thank you message as favors after the ceremony.